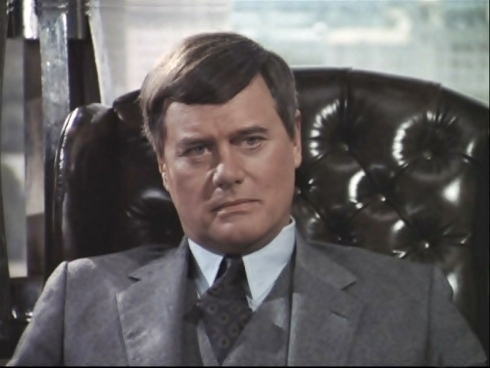 I’ll have fond memories of Larry Hagman, who passed away yesterday, since JR Ewing starred in an incredible “WTF” moment in Dallas: that moment when you’re staring at the screen for ten full minutes after the episode has ending, wondering if someone’s slipped LSD into your tea. The soap was always a little offbeat, but occasionally veered into the outright preposterous. It’s not alone, though – every soap on TV has featured plotlines that were weird, baffling or just plain bizarre. In the final episode of St Elsewhere, the camera pans back until we see Donald Westphall’s autistic son Tommy, who is playing with a snow globe. He remarks that he “sits there, all day long, in his own world, staring at that toy.” The camera zooms in to reveal that the globe contains a replica of St Eligius hospital – implying that the entire series is a product of Tommy’s imagination. I was just a child when Bobby so famously stepped out of the shower (the entire ninth season was Pam’s dream), and even then, I thought, “Oh, that’s just bloody ridiculous” and stopped watching the show for a good few years. It wasn’t so much the eye-watering shark-jumping as that it felt like a slap in the face to me as a viewer, as though my whole previous year had been wasted since those events never really happened, and I was terribly confused trying to remember back to the previous season to piece together the interrupted chronology. Dynasty II: The Colbys was a giant ratings flop, so rather than shuffling out quietly, they ended on a literal high when Fallon Carrington Colby (Emma Samms) was lifted out of this world. Dream sequences are a little cheesy at the best of times, but devoting airtime to the dreams of a dog? That’s just plain mutts! The last episode of Dallas‘s original run ended in 1991 in a spoof of It’s A Wonderful Life, only JR Ewing’s “guardian angel” is a little different than we’re used to seeing. I remember actually gasping out loud at that ending.